December 21, 2015 April 15, 2017 by Venky. 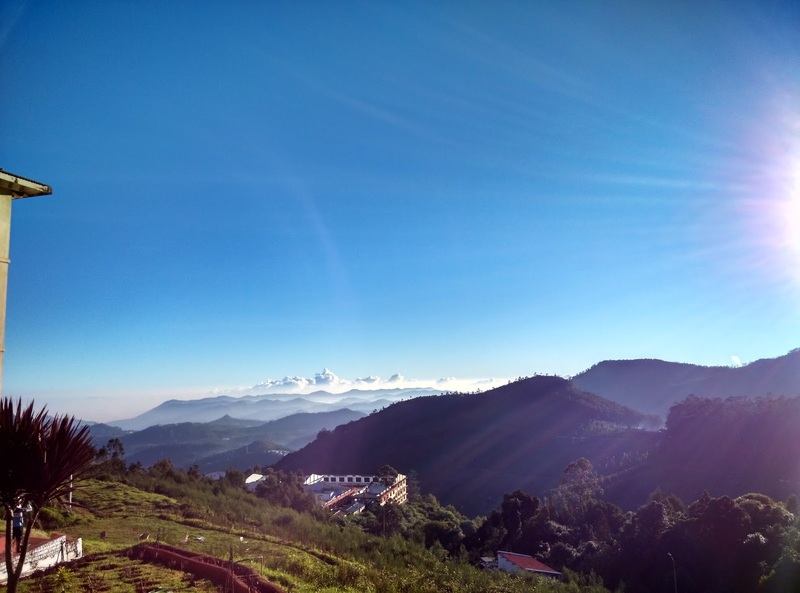 Indian Terrain Tour of Nilgiris 2015 – Day 6! Ooty to Palakkad! Yesterday’s rest day in Ooty was so much fun. Everyone needed the rest after handling the brutal Kalahatty climb. The Highland Hotel at Doddabetta where were staying had so many facilities to have fun. Amazing view from our hotel in Doddabetta! After the rider and volunteer photo shoot and the King/Queen of Kalahatty jersey(Red Jersey) presentations, everyone was busy in their own way of fun. Some were playing cricket while some took to Frisbee. Some took to cleaning their bike while others went out to Ooty town to get chocolates etc. The food at the hotel was fantastic and the staff were very hospitable. We really enjoyed our stay in Ooty. 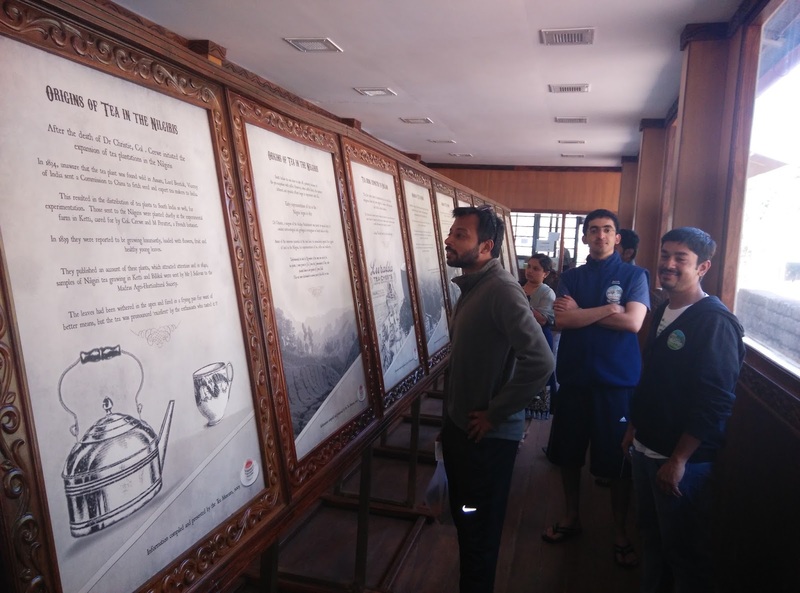 Learning the history of tea during our visit to Doddabetta Tea Factory and Museum on the rest day! We were flagged off from Ooty at 7:40 am after Nils gave a few tips on how to descend safely during the 50km downhill section to Mettupalayam. It was quite cold as we started descending. The sun was up and it was right in our faces as we were descending. It was a bit difficult to see against the sunlight. Since it was quite early the vehicular traffic was minimal and we were able to descend fairly quickly. Once we reached Kotagiri, it was less chilly. By the time we reached support station 1, it was almost warm and we dropped our warm clothes there. 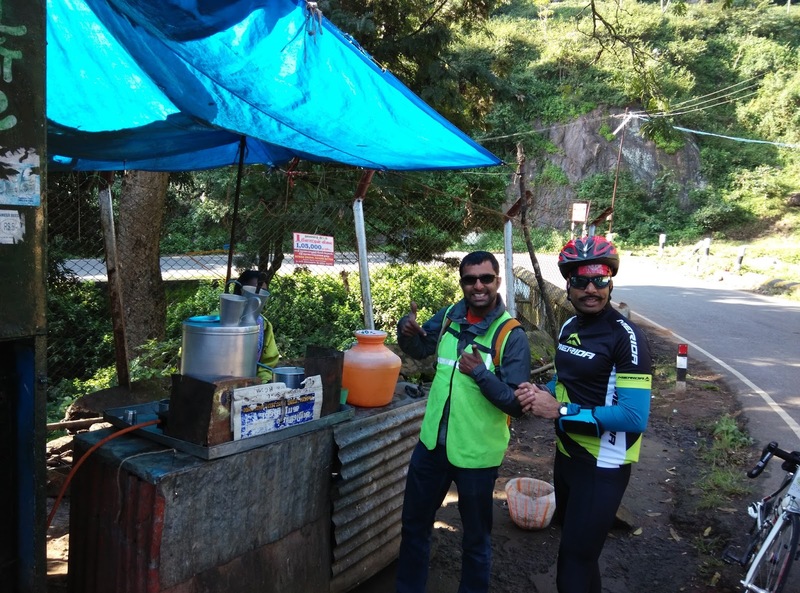 The tea shop at the first support station in the middle of the descent to Mettupalayam! I decided to head down immediately since I prefer descending with no one around. The long downhill to Mettupalayam is pretty flowing and very fast. The feeling of easily gliding down the hill is like none other. While it is super fun, it is also quite dangerous due to the traffic. So, it is about finding that safe speed for one’s skill levels and enjoying it responsibly. I really enjoyed the relatively empty roads of early morning and descended at a fair clip. I reached Mettupalayam in no time. I decided to continue to the next SS at 69km mark and wait for Sumit and others. Richard and Vinayak were already at the SS2 and started riding ahead. I waited for Sumit to join and started riding towards Perur where the next Support station was located. The route took us through quite a few villages and fields. We stopped near a lotus pond near SS3 in Perur to take some pictures before reaching the SS at 99km mark. We wanted to quickly refill and head to the Kumbakonam Degree Coffee Shop that is at the 120km mark. 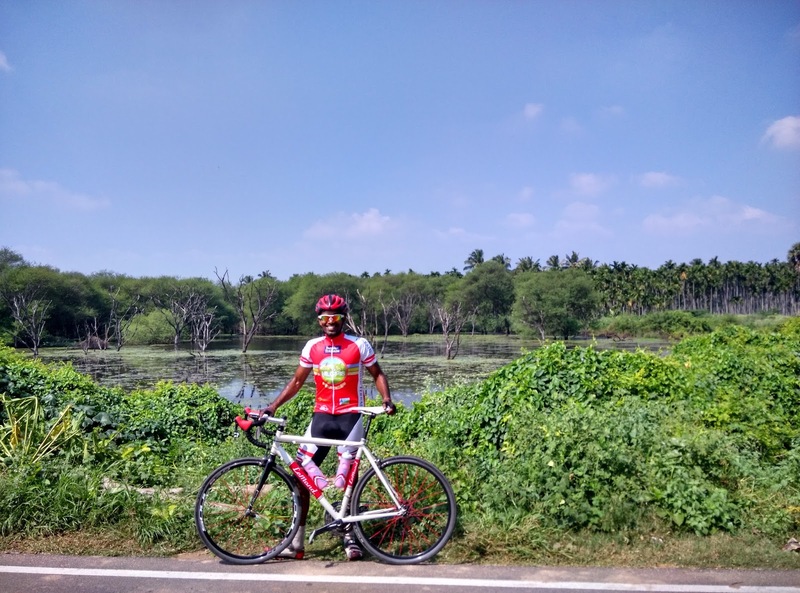 But, Kiran Kumar Raju, our current National MTB ITT champion who was supposed to ride this tour but instead decided to join as a volunteer because of an injury, stopped us from going ahead immediately. He conveyed that the markers are a bit delayed and that we could lose our way if we were go ahead as the route involves a lot of turns etc. Apparently, Viju Verghese and Gaurav Duggal already lost their way in trying to catch up with Nils who went ahead. We decided to rest a bit instead of getting lost and riding more than the intended 155km for the day. It was quite hot as it is and we didn’t want to ride any more than it was needed to get to our hotel. Once we were allowed to ride, we quickly started riding. The 20km to get to the next support station strategically placed next to the Coffee shop, had some really bad stretches of road that rattled our bones. But we eventually reached the coffee shop and downed multiple cups of awesome coffee. It was all paid by TFN. After spending some time downing coffees, we headed towards Palakkad. The last 33km, we decided to ride fast as it was quite hot by that time. Sumit and Vivek joined me as we quickly made progress with the help of downhill and tailwinds on our way to the hotel. At the hotel we found Viju and Gaurav at the lost and found bin. They claim that they haven’t lost their way but for us, they were lost right at the start and were found at the hotel. 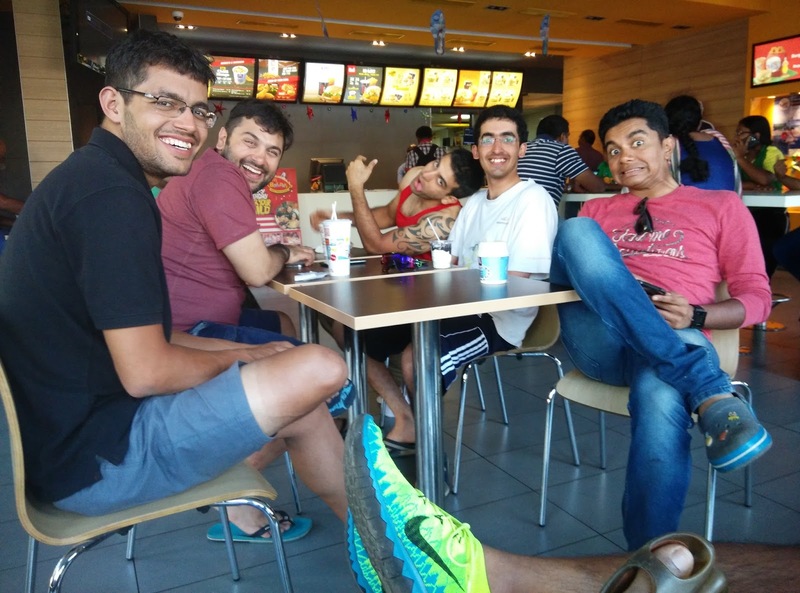 Since the packed lunch we were supposed to have at SS3 and SS4 never made it to there when majority of the riders got there, we got washed up and raided KFC and McD opposite our hotel. There was no competitive segment today. It was just a fun ride to Palakkad after the awesome descent from Ooty. Tomorrow’s ride to Valparai is a 108km ride with a 12km competitive section from 68km mark. It is the climb that will decide many of the GC positions for the tour. All are eagerly and nervously waiting for it. More pics from the day can be seen here. 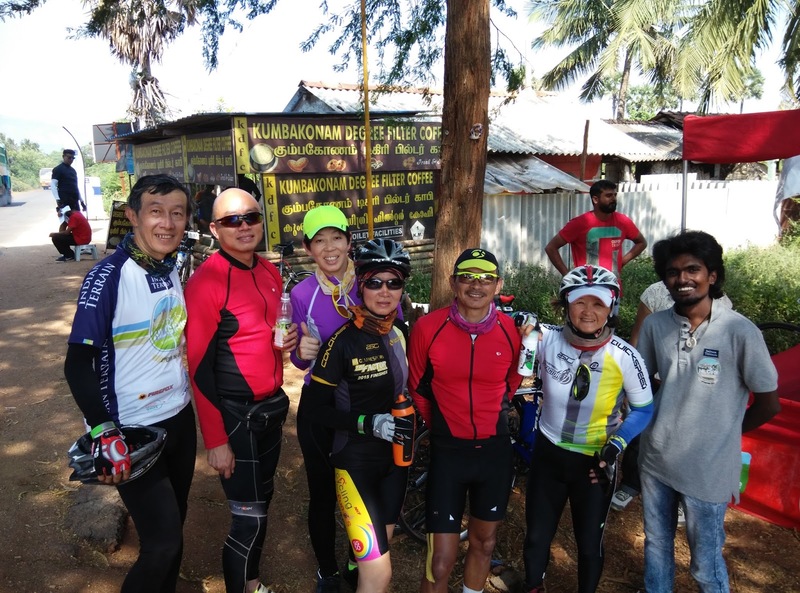 Previous Indian Terrain Tour of Nilgiris 2015 – Day 4 – The Monster That Is Kalahatty!